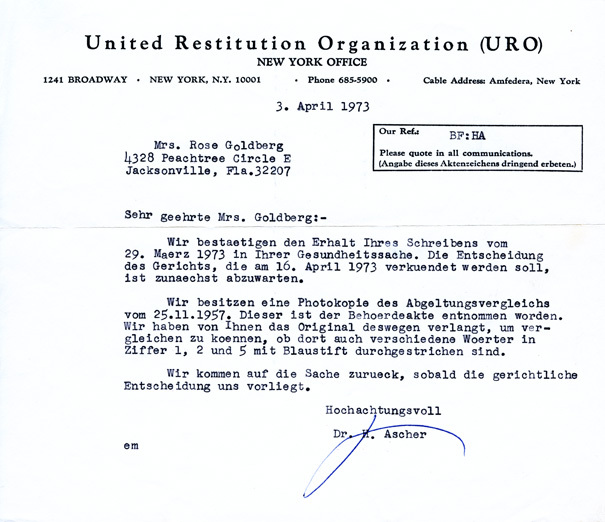 In this letter to Rose, dated April 3, 1973, Dr. Ascher of the United Restitution Organization (URO) acknowledges the receipt of Rose's letter of March 29. 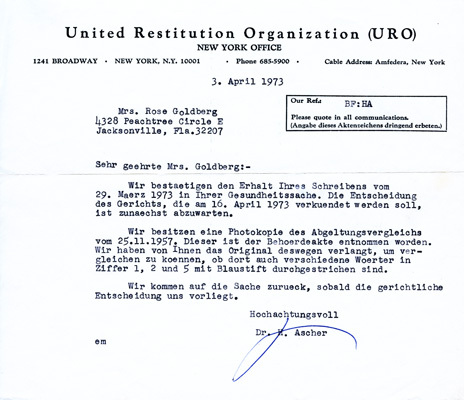 He then explains that the URO has a photocopy of her 1957 settlement document, but that the organization requested the original in order to establish whether various words in numbers 1, 2, and 5 of the original has also been marked out with a blue pen. The letter also informs Rose that the court will announce its decision on April 16.